Having been born into a church family in rural Anniston, AL, Overseer Woods was the blessing of Bishop Dr. Johnnie L. and Lady Yolanda Woods. He grew up in Wellington, AL, where he was known as a “church boy” but being the type of person he is, being active in the church was a joy and a blessing. As the years went on, he quickly rose to prominence in the church. At a young age, he was able to take on leadership positions, while still retaining authority, humility, and grace. In the year of 2000, he met, fell in love with and married the beautiful Nicole Alexandria Looney Woods. Through this union they have been blessed with two awesome children, Jonathan L. Woods, Jr. and Jada Nicole Woods. Not one to avoid God’s call, in December 2000, he was called to preach the Gospel of Jesus Christ and thus gave his first sermon. He was only 20 years old at the time, but well-equipped to move forward and follow God’s guidance at this point in his life. Shortly after, he was then blessed to journey all over the country, evangelizing and teaching the Word of Jesus Christ to his fellow man (and woman). He preached at a multitude of churches, spreading the good news of Christ and the gospel. After eight years of serving in ministry, God saw, in His infinite wisdom, that he should transition into becoming a pastor. In 2008, through a majority vote, Parkshill Full Gospel Church (PFGC) called him to pastor and lead the 15 people joined to the ministry. Shortly thereafter, he received his Associates degree in Information Technology and Multimedia from ITT Technical Institute in 2009. On October 25, 2010, PFGC became known as Worship and Deliverance Ministries (WDM). Within a year’s time, the church grew rapidly to nearly 200 members, and needed additional space. So February 6, 2011, WDM moved into its new location in the Ensley community of Birmingham, AL. In January 2015, WDM went into a “transitional phase” to enlarge the sanctuary so that it could hold 100 additional parishioners. This transition continued as they expanded to two services: 9am and 11am. During this time of growth and expansion, by the grace of God, in January 2016, Overseer Woods was elevated to the position of Birmingham Metro District Overseer for the Full Gospel Baptist Church Fellowship International. 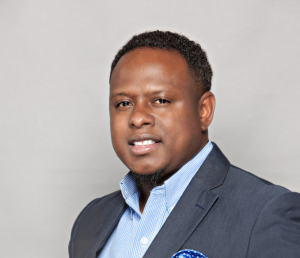 In 2014, Overseer Woods had a dream in which God showed him that his future church would be multicultural, large enough to accommodate all of his flock, and that its name should be All Nations Church. The dream came true; and in December 2016, he was able to purchase his second building, going from a 5,000 square feet sanctuary to a 39,000 square foot campus. With 400+ members (and growing), All Nations Church is now one of the fastest-growing churches in the state of Alabama. After fulfilling His promise, God has continued to lay the foundation of Overseer Woods’ purpose and destiny, with his most recent appointment to the position of Alabama State Overseer for Full Gospel Baptist Church Fellowship International. Overseer Woods’ ministry is centered around building character in individuals, while placing an emphasis on establishing healthy relationships, and promoting the importance of a stable family environment. He is a well sought out speaker, as well as a prominent spiritual, and community leader, passionate about spreading the Word of God.